An anime fan, Inomata began her career as an animator with Toei Animation, soon after graduating from her senior year at high school. In 1978, she began working for Ashi Productions, working as an animator, key animation director and character designer on on several anime TV series. 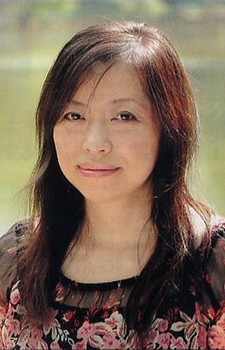 Inomata is noted for her work as an animator, character designer and animation director on several anime titles, including Windaria, Plawres Sanshirō, Future GPX Cyber Formula, and Brain Powerd. Inomata is also a prolific novel illustrator, known for her vivid watercolor paintings which often center around young women with wide, jewel-like eyes. Many of her illustrations are collected in her artbooks, which include Voice of the Stars, Dreams of the Moon (星の聲月の夢), Eccelente, SAI, and numerous others. Her representative works as a novel illustrator are for the Utsunomiko (宇宙皇子) series written by Keisuke Fujikawa (藤川圭介) and Weathering Continent (風の大陸) series by author Sei Takegawa (竹河聖). She is also noted for being the main character designer on a number of titles in Namco's Tales of series of video games. I love her Tales styles. I usually prefer Fujishima's character design but her designs are fine too. I just wish she could fix her way of drawing waists, they look unnaturally skinny. No comments so far ? I think she has a very adoreable style !